The UK foreign secretary, Jeremy Hunt, singled out Haftar for criticism ahead of the meeting on Monday. “He will press France to condemn Haftar specifically, rather than blame all sides in the conflict. Germany is understood to want to take a tough line, and the issue of sanctions against Haftar may be on the agenda.” According to The Guardian. 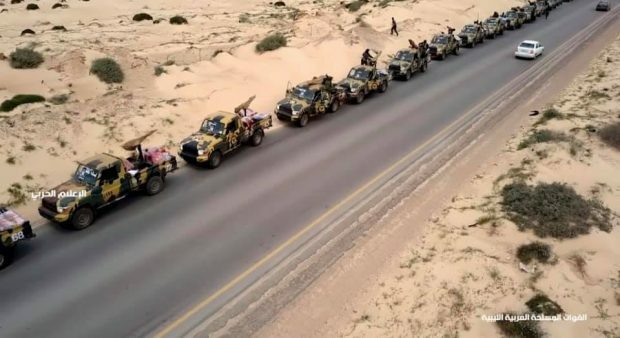 Up until now, there are more than 30 people who have died since fighting broke out on Thursday when Haftar, who commands the self-styled army, ordered an advance on the capital in a surprise move marking a dangerous escalation days before the UN-led National Conference in Ghadames.